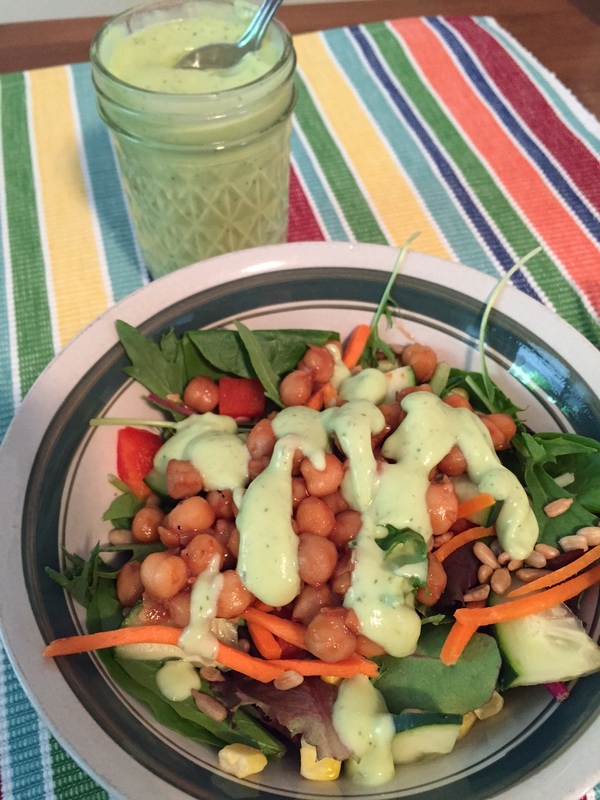 I love my salads, and while I do have a favorite (hello, feta and avocado), I still like to switch things up every now and then. So since summer is right around the corner, I decided a BBQ salad would be perfect for the hot days ahead. I’ve also been trying to cut down my meat intake, so I liked that this was a meatless twist on the usual meat-centered BBQ dishes. 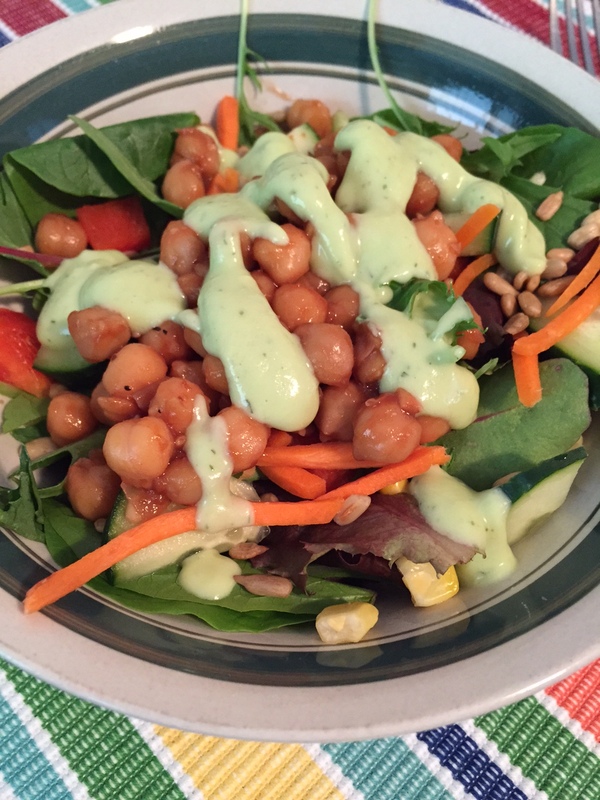 The chickpeas take on the smoky flavor of the BBQ sauce, and the avocado dressing adds a fresh taste to the salad. 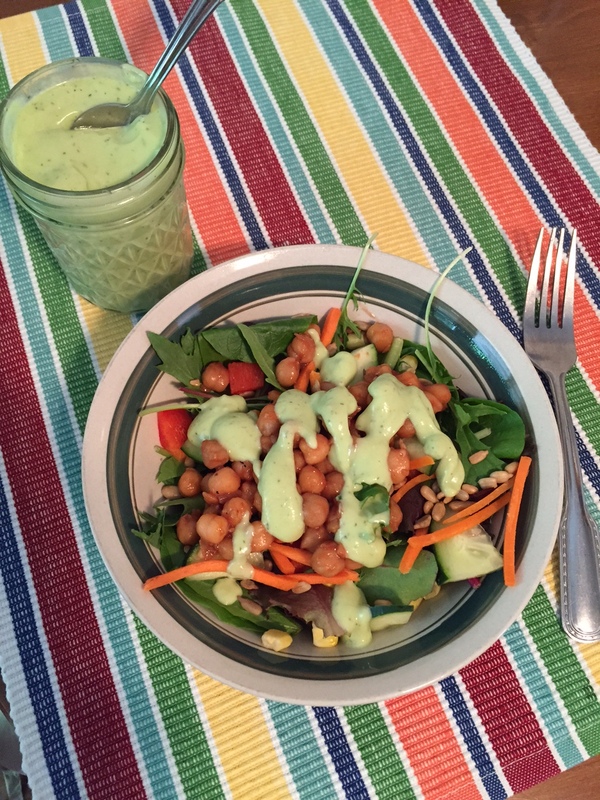 I didn’t do a good job of stretching the dressing (oops) so it only made enough for 5 salads, while the chickpeas made 6 servings. 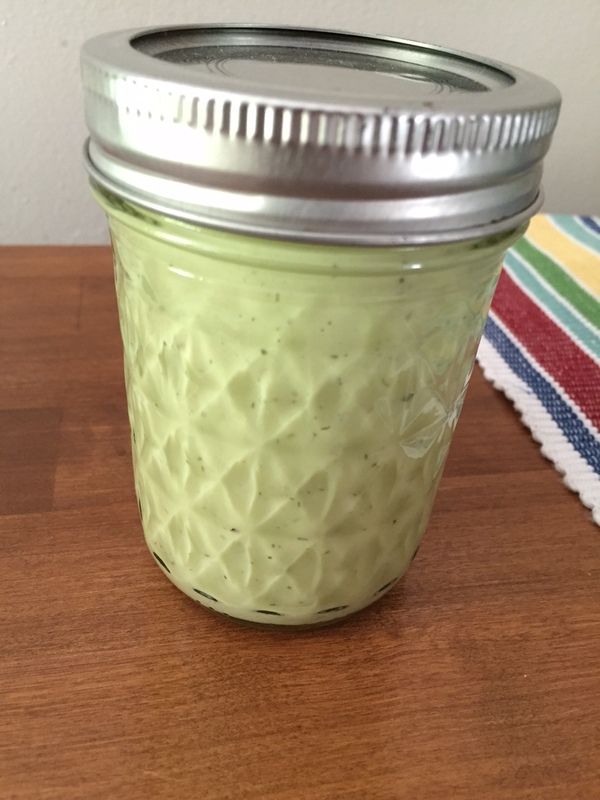 But you can use more or less dressing as you please, or double the batch! I bet it would make a yummy veggie dip as well. 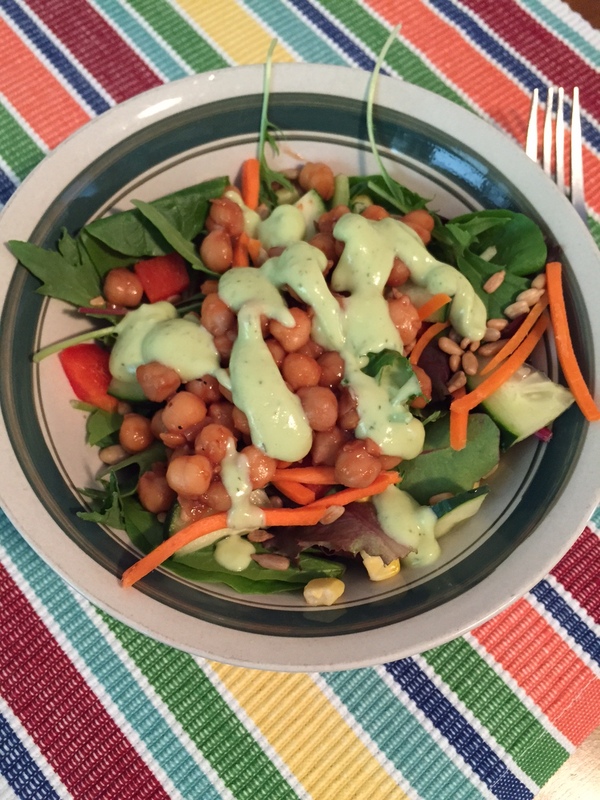 I am including the recipe for the BBQ chickpeas and avocado ranch dressing, but I’m leaving the salad part to you – make it with whatever your favorite ingredients are! 1.) Drain and rinse chickpeas. 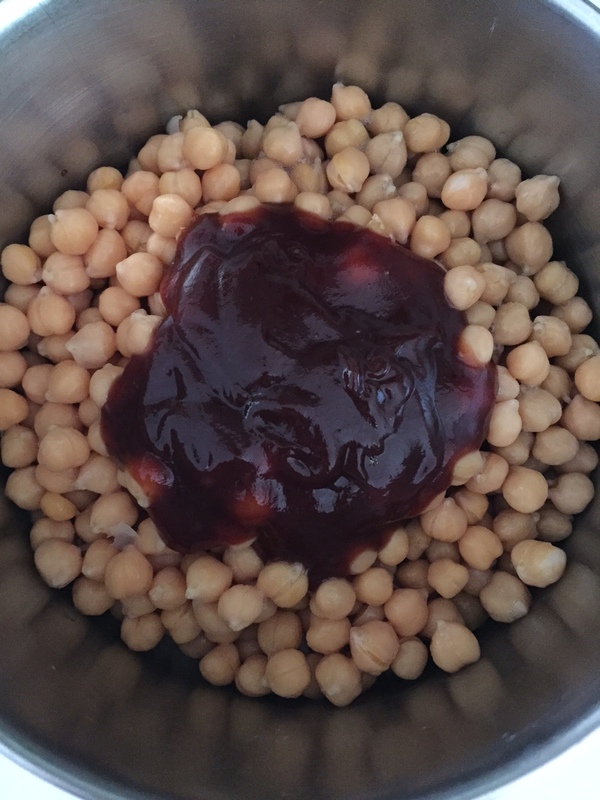 In a saucepan over medium-low heat,simmer the chickpeas with the BBQ sauce, stirring frequently. Add any spices you’d like, or more BBQ sauce! 1.) 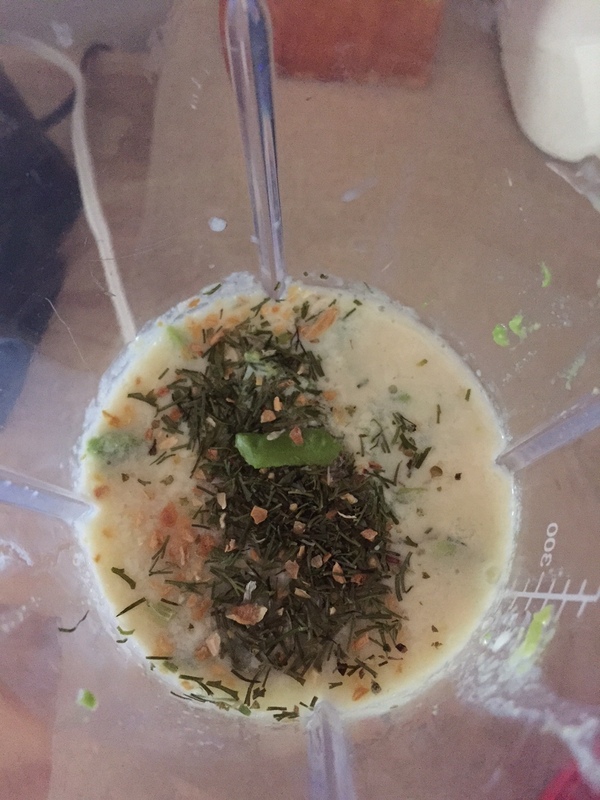 In a blender, combine all ingredients and blend until smooth. 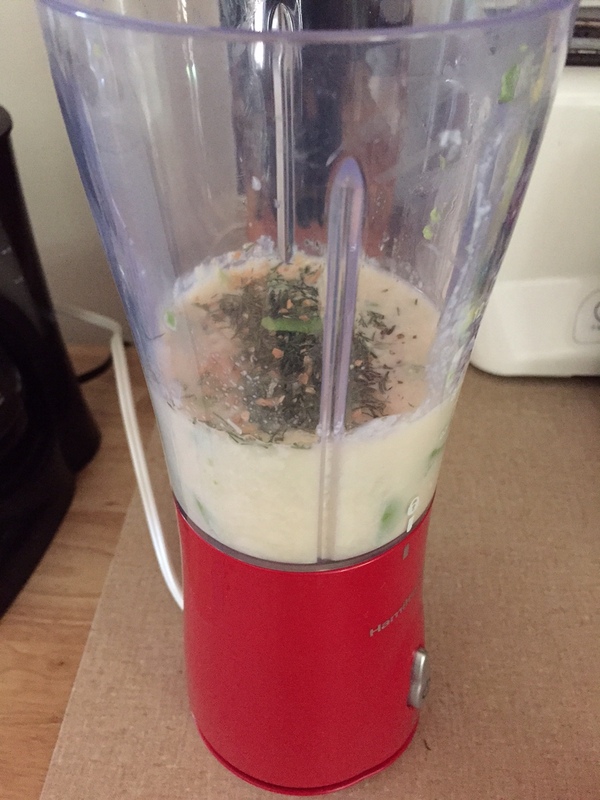 Add more seasonings to taste. 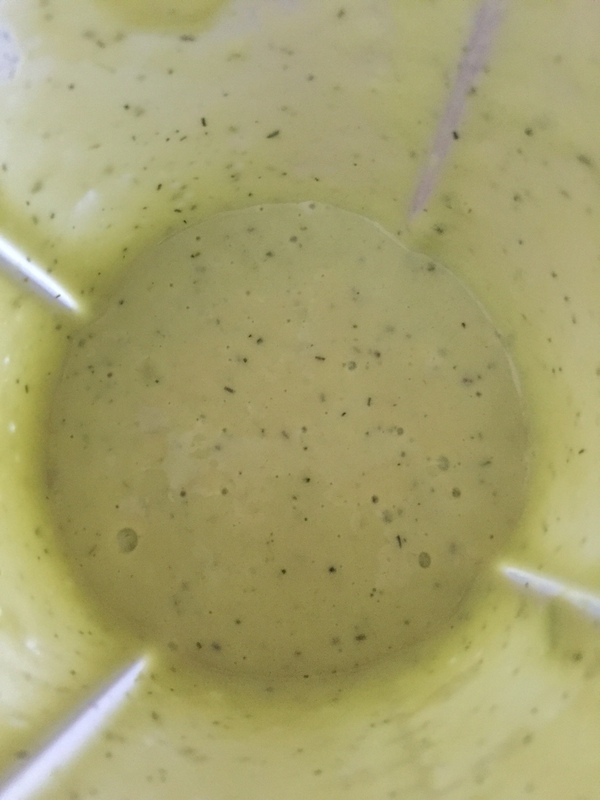 Will last about 3-5 days in the fridge.